Instinctively, it feels wrong that this peaceful practice has been co-opted for such purposes and is being taught without the essential moral elements of Buddhism such as compassion and selflessness. Are our feelings of instinctive disapproval justified? It’s worth reviewing exactly how mindfulness is being used in the military context. 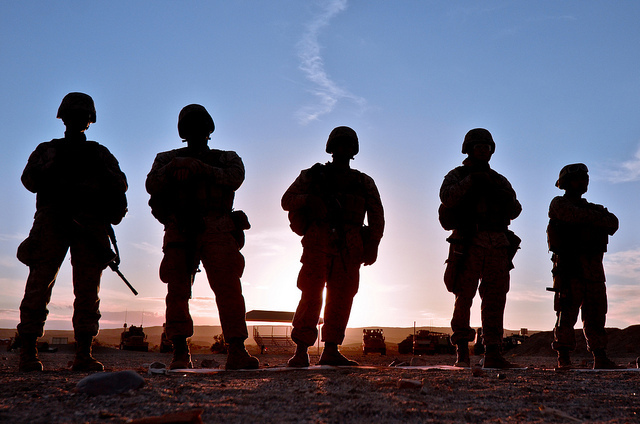 For several years the US military has been working on a tailored application called Mindfulness-Based Mind Fitness Training to counteract the effects of chronic stress during deployment in conflict zones such as Iraq and Afghanistan. In 2011, it was found that participation in the programme led to greater self-reported mindfulness among marines, and these increases were associated with less experience of stress. The following year, another study led by the same researchers found that mindfulness practice helped to preserve or even improve the “working memory capacity” of soldiers during the stressful period just before their deployment, compared with that of civilians and soldiers who didn’t get mindfulness training. Good working memory is known to be important for managing cognitive demands and regulating emotions, and the soldiers who spent the most time practising mindfulness seemed to get the most benefit in terms of their emotional wellbeing. Research published last month now adds further evidence that mindfulness training can protect soldiers from the physical and psychological damage caused by chronic stress. Marines were randomly assigned to receive either eight weeks of Mindfulness-Based Mind Fitness Training, or just their usual training. A week after the course was completed and before deployment, they took part in simulations of counterinsurgency operations such as patrols and ambushes. The researchers measured physiological changes before, during and after the exercises and performed MRI scans of their brains. The heart rate and breathing rate of marines who had received mindfulness training recovered significantly faster after the combat simulation. They also had lower levels of neuropeptide Y in their blood, which is a marker of autonomic nervous system activation. MRI scans revealed that activity was reduced in parts of their brain that usually respond strongly to emotional faces. The implication seems to be that mindfulness made the soldiers less emotionally volatile. Writing in an accompanying editorial, the Yale psychiatrist Judson Brewer (who wasn’t involved in the research) said the hope was that this training would prevent troops “burning out (or acting out) during prolonged stress exposure”. In other words, a chronically stressed soldier is not only less effective, he or she may become a danger to civilians or fellow troops. This preliminary study suggests that Mindfulness-Based Mind Fitness Training might make this less likely. These studies give a flavour of how the US military wants to use mindfulness to preserve the psychological and physical wellbeing of its troops. The question of whether we should be concerned that this ancient practice is being taught in the absence of any moral framework has been thrown into stark relief by America’s involvement, with its allies, in a new Middle East conflict fighting Islamic State. President Obama has said the US has no plans to put “boots on the ground” in Syria and Iraq, but the involvement of ground troops can’t be ruled out indefinitely. Regardless of how we feel about armed interventions around the world, the physical and mental wellbeing of individual human beings must surely trump every other consideration. Suppose a new vitamin were discovered tomorrow that promoted calm and counteracted the effects of stress. Would we deny it to men and women serving in the armed forces because we’re pacifists? Would we be shocked that bankers and financial traders were taking the newly discovered nutrient to help them keep a level head, get the best deal or outwit their competitors? Of course not. Mindfulness doesn’t belong to Buddhists and it doesn’t belong to therapists. It taps into a universal facet of our biology. We should be glad, and we shouldn’t be at all surprised, that mindfulness is spreading far and wide, becoming a routine part of so many people’s lives. All the rest – including compassion for other human beings and selflessness – will follow perfectly naturally in its own time. 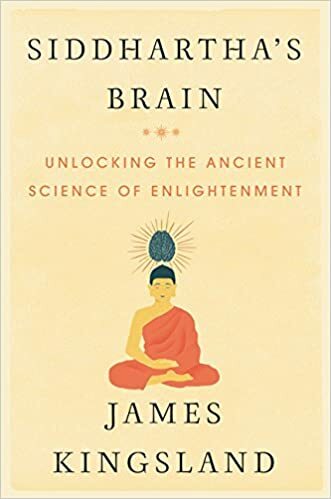 « Is this the brain’s mindfulness switch?